The office as a priest and the long years as musical director of the Ospedale della Pietà (a large orphonage in Venice) both occasioned and inspired him to compose church music in large variety. 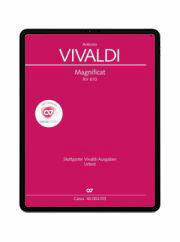 The Magnificat RV 160 has come down to us in two versions. 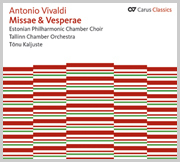 The first version is dominated by the choral concept, in the second version the texts of Et exultavit, Quia respexit, Quia fecit, Esurientes, and Sicut locutus est are each given new and extended solo arias that – as the manuscripts reveals – were tailored to voices of girls from the Ospedale who are mentioned by name in the autograph. 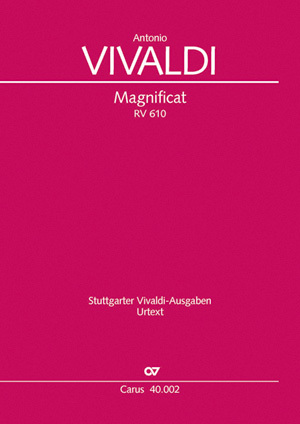 Diese Ausgabe ist wertvoll, weil hier in einer Ausgabe die Fassungen des Magnificats RV 610 und von RV 611 vereint werden. Die fünf feinen Arien im galanten Stil sind im Anhang präsentiert und erlauben dem Musiker; die Wahl zwischen der früheren und der späteren Fassung. Diese geniale editionstechnische Idee aus dem Jahr 1973 sollte auch bei anderen Werken Vivaldis Schule machen. Sehr zu empfehlen.